For my story the inhabitants of the setting find themselves fighting against endless hordes of monsters. But these monsters have several traits that will require unique strategies against them which I am trying to work out. The setting First of all some background on the world they're living in. Its set in a large kingdom about half the size of western Europe and is surrounded by barrens. These barrens are infested with the monsters and are constantly attacking. The area in between the kingdom and barrens is known as the frontier. A massive stretch of land filled with walls, fortresses and other defenses. If one of them were to fall it would be a simple matter to fall back. The tech level is undecided. I was thinking late second industrial revolution but medieval is also a possibility. Magic The setting does have a magic system but it is not too relevant to the tactics. It is of a runic nature and by drawing on ley lines anythign within the parameters of the rune can be done. It is not that suitable for use by units and is usually reserved for reinforcing defenses or enhancing long range weaponry like artillery. The Monsters The monsters are the creatures of a God of the void. They desire to wipe out everything and they are created by this god for doing so. They have multiple traits that make them difficult to stop. Attraction to magic: The world is held together by magic so they have an ability to seek it out and destroy it. Magic can be found in all living things, running through the landscape as ley lines and in runic circles made by mages. This draws them endlessly into the kingdom which still has functional magic thanks to its defense from the monsters. Anti-material: Anything the monsters touch crumbles into dust/ash. This severely limits the effectiveness of different weapons. Melee weapons will wear out quickly in combat and armour will crumble after a single hit. This obviously makes ranged weapons a smarter option. Defenses like walls can have some effectiveness at holding them back depending on thickness. They will need to be constantly patched and repaired however with constant attacks. Due to the magic running within living creatures their crumbling effect is different on them. Organics will wither instead. Organs will stop and limbs will become useless. Damage depends on amount of exposure, limited exposure will leave the tissue functional if scarred and crippled. Large exposure will leave tissue dead and after that it will crumble just like anything else. Endless variety/numbers: There is no end in sight to the numbers of the monsters, society has basically just been holding them at bay at the frontier. They can come in many different shapes and sizes, appearing both like real animals and mythical ones. No organs: Due to their nature as monsters of the void, they do not require anything to survive and therefore have no vital organs. Killing them is dependent on body damage. Cutting them to pieces and blowing them up are effective at killing them. Ranged weapons like guns generally don't do much more than slow them down. Although higher caliber and higher spread guns are effective. Large amounts of small wounds have also been shown to kill them, as if they were bleeding out, although no blood has ever been observed from them. I need to work out what tactics would be best against these monsters. Both on an organizational army wide scale and independent unit scale ie what training and equipment soldiers receive and what tactics the army uses. Alright I'll give you some extra details and clear some things up. Withering organics is not an extra thing that happens before crumbling to ash. Its just the same thing happening in a different way. touching a single part of an object will not cause the entire thing to crumble, only the touched area. Parts surrounding it will weaken however, monsters must use repeated attacks and touches to destroy things. This means the size of an object matters, a bullets small size will lead to near immediate disintegration upon entering their body but a thick stone wall could last a siege. Their disintegration ability is in effect over the entire body, touch it anywhere and you will crumble. They are immune to the effect themselves so no friendly fire. As creatures of the void, they are not all physically there. Hence no need for organs and such. While they can be touched and killed, they do not fit in with the rest of nature. Basically eldritch monsters. They also appear to fade away into smoke upon death, leaving no bodies. 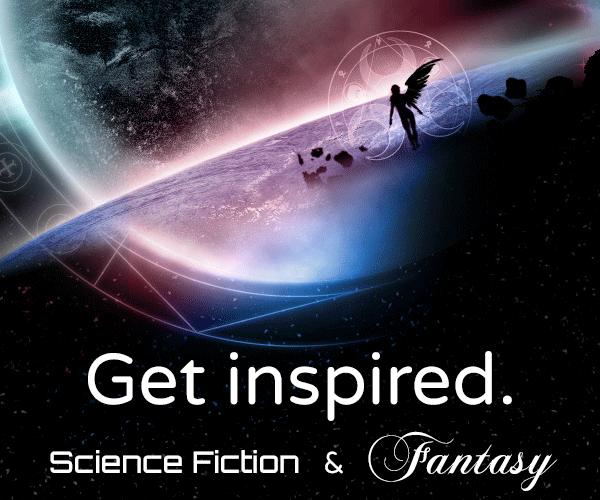 There are monsters capable of things like flight, swimming and burrowing through the ground. Their numbers vary. Tunneling monsters are uncommon but do exist, they are more common in areas with plenty to dig through like mountains. It takes a while for them to dig but still faster than any natural earth creature thanks to their disintegration. Flyers are common but still less than standard land creatures. Anti-air weaponry would be effective against them. Oceans and water bodies in monster territory tend to be teeming with them. Sailing in monster waters is effectively suicide since they can destroy the bottoms of ships. The only sailing activity is limited to a safe and secure bay which is kept clean of monsters as well as freshwater bodies deep with safe territory. The lower density of liquids and gases leads to the disintegration being less useful. e.g. water will become lifeless and less buoyant while air becomes stale and thin. Monsters can tone down their ability at will, this is mostly done for convenience though, not much use walking when the ground is gone. The origin of the monsters is not known by society. It appears they just spawn within their own territories. Created by their god. Monster strategies usually come down to either strong individuals or pack hunting. Packs will usually stick to monsters of similar body types but this is not guaranteed. Monsters can form large hordes of many types which will attack in waves. Their God does little to lead them past simply creating them. Monster intelligence can vary, most are nothing more than primal creatures whose only instinct is to seek out magic and destroy. But some can rise higher to use strategy in combat or lead their fellows like an alpha. Some can even organize entire armies of monsters but these are rare and their tactics pretty simplistic outside of maneuvering. A single type of monster has developed which is capable of mimicking humans and infiltrating society to bring it down from inside. Their existence is not known to humans so tactics don't really exist against them. Humanities goals has basically just been survive for their entire history since the monsters first started showing up. All they have been able to do. While they have fallen back and reclaimed bits of the frontier many times, they have never really been able to advance much further. Doing something about them will be the main plot of the story but for now I want to know the tactics already in use. Very frontlines forts can expect 2-5 attacks a week, they use the time between attacks to recover, repair and restock. It is not uncommon for groups of monsters to make their way past the frontline, this is why its so important for extra fortifications behind them. So recorded monster has made it all the way to the kingdom through the entire frontier's defenses. The monsters cover basically the entire world except for this kingdom. Their more dense around the kingdom itself since the barrens don't really have any magic to attract them. It is theorized that there may be other kingdoms out there which have managed to survive like them. But between the monsters and distance contact it not viable until the threat is dealt with. Terrain will regenerate over time when magic is available. Ley lines will naturally create features of the terrain and said features will simultaneously reinforce the ley lines. E.g. rivers and ridges are more likely to end up running over ley lines. This means that within the barrens the monsters have destroyed most features of the landscape to weaken and destroy the ley lines. As long as the kingdom still stands, the ley lines of the world will continue to regenerate using them as a source while simultaneously being targeted by monsters. The monsters were not always attacking. There was a period where there was a good god protecting them until he got preoccupied with keeping the universe together elsewhere. They had gotten to about bronze age tech before the monsters started appearing. Much of the world was swiftly lost and they retreated into the fortified kingdom. With earth being plentiful, it should be easy to rapidly produce clay weapons and barriers, using runes to reinforce them as much as needed. Weapons of Choice: Heavy Bludgeoning/Crushing class weapons. The nature of the void creatures means that penetration (piercing/slashing) class weapons will have more surface area exposed to the monsters, and thus will wither significantly faster. Plus the creatures seem to be susceptible to "bleeding" effects. Crushing class weapons like the war-hammer are capable of causing massive internal bleeding without ever penetrating the target. This makes Bludgeoning weapons the most potent and durable weapons to use. For elite enemies, projectiles can be enhanced with Greek fire or gunpowder (or a runic emulation of the effect) for some extra kick. This should be plentiful enough, and allow the soldiers to take a few hits, but the lightness/flexibility should help them to avoid getting hit in the first place. Note that this means soldiers will get well rounded physical training. They need endurance+agility to avoid getting hit, but they also need strength to maximize the damage of their heavy weapons. Either using caravans of magically reinforced elite troops, or routinely creating/destroying runic fortifications, this should allow the frontier forts to cycle which are the most "magically fortified", allowing the strongest forts to fight hardest while the neighbor forts use the relative downtime to repair/fortify their defenses; as well as cycle active duty troops so that those on the front lines are always at the top of their game. This bundling of enemies will also make siege class weapons like catapults more effective as their projectiles can hit more enemies per volley. Side note: The psychological health of our troops is important to remember. We will want to rotate troops in and out of the front regularly. And while resting, it's important that they have plenty of emotional support. The endless nature of this enemy makes traditional munition based defense of traditional forts unsustainable. We need to get the enemy close enough for our troops to crush them, while creating a heavily obstacle ridden environment to choke/slow the enemy to deny them any swarm advantage. Catapults behind this fortification (or deep in the middle) can use their munition store to wipe out large groups or particularly strong looking enemies before they reach the main line. The nature of this defense also means it will remain largely intact if we are forced to retreat. This means that our forts will be up and running the moment we take it back from the enemy. It's too exhausting to renew all these expensive defense mechanisms. There is one resource the kingdom will never run out of: poop. Let your drowning tank refills itself, as monsters are irresistibly lured toward the huge pile of magical artifacts you placed at the bottom of it. It is actually a win-win situation: unpleasant odors are evacuated as poop is now constantly vanishing due to contact with the monsters. Latter in your story, it will be discovered that the god sending the monsters is a benevolent one, who found this creative way to stimulate the development of sewage systems among humans. Possible downside The kingdom is being steadily depleted in organic material, especially nitrogen, so you will need a solution for farming. Questions like this are hard because the answer is always the same: "Find what works well, and do it as much as possible." Sadly, this puts us in opposition with you. Our job is to break your system. Whatever rules you put in place, my job is to find ways to bend and break them. Accordingly, the first thing I'd do is start using weapons that are still living. Why let my weapon crumble when its lifeforce can "wither" instead. All it needs to do is stay functional until the enemy is gone. Likewise, I'd probably build forts out of living trees to form a useful barrier. Other than that, the answer would be the same as it is in every case. Find what is effective against the creatures, and do it repeatedly. You haven't stated in the question what works against them, so I can't say what that is. But your people will need to find it, and do it. Also: take the fight to them. You can't just "survive" forever. If you never gain any ground, you'll only ever lose ground. My recommendation, not knowing anything useful about the creatures: raise violent pets. Start raising animals that might fight back against the creatures if unleashed. If you can train them to do something which hurts the creatures, train them accordingly. If you're up against an endless horde, and you're only surviving, you're losing. Oh yeah, one more trick for anyone who has played Starcraft: Float to the island. The monsters are anti-material, so weapons would be extremely ineffective as each one would be single use. There is no way any economy could create weapons at this rate. Simply patching your walls could work for some time, depending on how fast your walls disintegrate. This however would result in an ever growing group of monsters tearing down your walls and will prove unsustainable in the long run. The only way to limit your resource usage is to make sure you are not attacked by these monsters. Hiding obviously is not feasible since they track down your magic. So that only leaves one option: prevent them from reaching you! 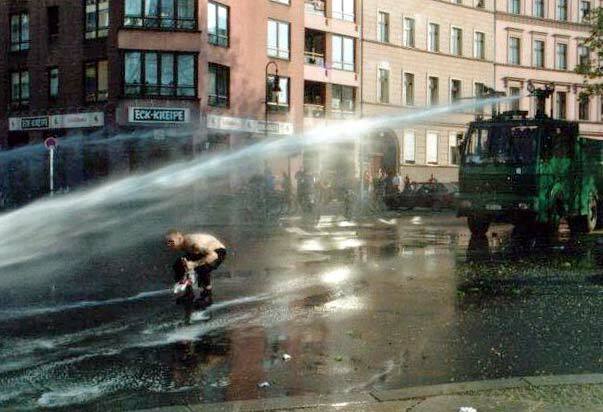 You can do this with a water cannon as used by the police force in riot control. You could even add in abrasive components as done in watter jet cutting to not only push the monsters away, but also actively hurt and possible deter them. As @Mr.Mindor brings up: if the water is destroyed by the monsters it would turn into hydrogen and oxygen, which would react in an exothermic reaction. Likely the monsters would choose to turn their powers off while being bombarded as a way of protecting themselves from a huge fireball. This in turn would open up the possibility of shooting them with arrows, spears and the like as the previously mentioned problem with these is no longer in effect. You could build such a water canon by utilizing a dam that collects water. If you build a single structure like the Hoover Dam and build an efficient pipe network with limited losses you should be able to cover quite a large area depending on the density of the monsters. The water would be coming out at just under 2.2 MPa (using the Bernoulli equation). Which is about the same as that of the riot police*. cannons, which I recon should be enough to hold off at least 5.000 monsters at any given moment if you take into account a 60% loss (at the high end) and aim two canons at each monster. Much as I admire the sheer elegance of the sewage solution, I'd think the answer is obvious. Classic RPG tactics would suggest that if physical attacks don't work, use energy attacks. If your world is at industrial levels, use fire and lightning. Arrows and bags of manure, soaked in pitch and set alight before launch have been around since the Bronze Age. Even if the bags and contents disintegrate on impact, the fire won't and should severely burn large numbers of monsters if you use flaming bags. Steampunk era gives you both static and current electricity. Connect your walls to giant van de Graaff generators, then sit back and watch the monsters get electrocuted as they touch the conductive plates. Set up large capacitor arrays and use them to power arrow fired tasers to incinerate large targets. Since your monsters nullify, if not eat magic, you can't use mages, but mad science is always available to pick up the slack. If the above options work, upgrade to lasers, railguns and death rays. EDIT: For better results, incorporate @Alexis' solution. Put cheap magical items in your flaming loads and hopefully, the monsters will actually lump together to grab it. Build walls and weapons out of materials that cannot wither or crumble to ash. A fortress in the frozen North could be built out of ice. Pikes could be gold coated. Burning oil doesn't wither nor does boiling tar. In the end you need to destroy the portal letting them in. I'd build a fortress to hold them off and start a massive magical ritual for the purpose of attracting them as they seem to be creatures drive by instinct alone this way an attack force could attempt to close the portal from behind. Do different materials crumble into different types of dust/ash? If so, perhaps the defenders can find a material whose dust/ash has an angle of respose is so steep that the monsters can't climb it. Imagine trying to climb a mountain of powered sugar, you'd really just be wallowing in a pit of it before long, gradually eroding the mountain until the angle was such that you could actually approach. The defenders would need to maintain their mountain of powder, as the energy imparted by the monsters would distribute it. I imagine a bucket-brigade of peasants in snow-shows, raking the powder back into the correct slope so that it is ready to ensnare the next batch of monsters. Also, if the monsters are smart enough to build snow-shoes themselves, then this wont work. The monsters are smoke. The god of the void is the fire. Your monsters are a symptom, like smoke is a symptom of fire. Smoke can definitely kill you and might be the worst thing about the fire, but it is difficult to fight smoke. You can avoid it or let it out or wear a mask but the smoke will keep coming, because the fire is still burning. To definitively fix a problem with smoke, you need to address the fire. And here the fire is the God of the void. Ideas with how to come to terms with a divine entity whose interests are contrary to yours. 1: Come to terms. If the humans themselves facilitate the orderly destruction of magic items, that might be acceptable to the void god who would then be saved the trouble of making monsters. You would not want to destroy any faster than they can regenerate or this will not be sustainable/. 2: Distract void god into doing something else elsewhere. That worked for the good god, and so there are presumably elsewheres accessable to gods. Point out to the void god that it will meet less resistance and be able to destroy magic faster in a place where humans are not opposing it. 3: Recruit help. The existence of elsewheres and other gods suggest there might be other divine entities interested in preserving the status quo. One of these might be recruited to help humans oppose the void god as the good god used to - or maybe get that one back. 4: Best defense is a good offense. There are gods and there are gods. Maybe you can dissuade the god of the void from his goal somehow. Remember he is a god; it will take more than one shot. Deep trenches and moats would be useful for slowing down the monsters without presenting them with matter that would be vulnerable to their disintegration ability. It would also help group them so they would be more vulnerable to artillery and massed fire. Depending on the exact nature of your magic system - a magical barrier such as a runic force shield may be much more resistant to attack than any wall made of a mundane material. Reinforcing your structures with magic to resist disintegration may also work. As for offence - melee is obviously inadvisable, as is allowing them to get to close to your defences really. Massed artillery fire seems to be the way to hold them at bay, bolstered by magic as much as possible. Depending on your technology level, weapons such as white phosphorous will allow you to level the playing field. Flamethrowers could also allow small units to effectively combat the monsters, though fuel usage may be a problem. If you present them with a solid wall they will attack it and eventually break through, so instead you create a funnel and maze setup as a killing ground. The walls have openings, that they will naturally funnel through. Inside the walls are a maze or labyrinth that forces them to run around a very long route. While they do that towers and other placements along the walls fire arrows down into them until they are weakened and die. The towers are linked by mobile wooden bridges. If they do turn and try to attack the walls or towers then burning oil is dumped on them. If they begin to climb the wall or it becomes too weak the defenders retreat to the next one and pull up the bridges, leaving the creatures stranded on an island and forced to climb down into the maze again. Nothing about these monsters seems to indicate that they can't burn. The disintegration effect is less useful against things of lower density, so, petrol seems like a solid go-to delivery mechanism, but really what you'd want to go for is the highest possible temperature, so any good raging inferno should do. You were less descriptive about the limitations of what runes can and can't do, but if they can produce fire or heat, it seems like making a reinforced runic pit of endless flame would be a pretty awesome defensive mechanism. Section removed as OP updated they are immune to their own anti-material. See edit history for how that could have been done otherwise. Ranged weapons, whether by length or by projectile, are what started to win wars later on anyway, and many melee weapons are lethal from just 1 or 2 hits. So really, although these enemies sound awful when described, they really aren't individually a lot worse than fighting other humans after all. After re-reading the question again, I notice you suggest that arrows and guns just slow them down and it takes a lot of shots to kill them. In that case, arrows are less feasible in large scale attacks, but pole arms defending walls still work well. And when on the offensive, pole-arms behind trenches. Also start using modern poaching techniques. Leave lots of hidden traps for them to step on so they come at your slower and weakened. However, you did say there were huge numbers of them. That is probably the real problem here. But that is what castles are for. A castle allows its occupants to defend against a numerically vastly superior force, so again this just lends itself to what we see in our real history. However, if you rule that their touch can bring down walls too, then that might be problematic. However, some forts use earthwork fortifications, and disintegrating earth is not going to do much. In a fantasy story, you can make their abilities sound awful, but in reality, against an army it isn't really all that bad and normal tactics which have been used in history can be used for the most part. Since that is not so exciting, as the author you should find the exciting and dramatic middle ground and just rule that it works out however you want. The people don't really need anything special to overcome these enemies, as I stated, but you can just make the enemies seem powerful and go whatever direction you feel like. The biggest advantage you have will be the terrain. A close source of Lava or Water would be invaluable as it would allow you to harness this magical liquid to fight the beasts. The easiest way is to simply build a huge dam that holds all this liquid and release it into the oncoming horde every time they attack. This lets you simply wipe some of them away and slow their progress as they now have to walk through muddy ground while fighting the current from the burst dam. After the breach, you refill the dam using the natural regeneration of the terrain or allow the water/lava to slowly pour in. Depending on the source, you could have multiple dams or only use a limited amount to help delay the beasts while your other measures kick in. You also want to limit where the monsters can approach from. Think of something like Helms deep from LOTR. Sure the monsters could approach from other directions, but they would never be able to do so in the numbers required to overtake your frontier forts (unless for some plot twist reason, you want to make it happen). Now the monsters might dig away at the sides and open up some passage ways, but when this happens you can send out some ranged forces to force them back and let it naturally regenerate over time. Terrain features regenerate overtime and there is always a abundance of stone to be found everywhere. Your siege weapons use this as a near infinite ammo. Not only will it regenerate over time providing you with a nearly unlimited source, its annoying for the monsters to remove. The battlie field will be littered with boulders and spears made out of stones which the monsters will have to push through. Combined with the a dam, you have a landslide that you can trigger once a battle. The monsters run in, you activate your dam. The boulders and spears from the previous battle are washed into the monsters and once the initial blast is over, you start firing, preparing the battlefield for the next battle. Runes stand out and attract more monsters. You want this, because you want to force your monsters to attack a fortress, not run around it. By providing a powerful enough incentive, you basically allowing the monsters to approach you the way you want them to. Reinforce all your defensive structures and watch the monsters pour in only to be washed out again. With the natural terrain supporting you, the monsters are going to find it extremely difficult to overcome you. If not whatever explosive you got combined with anything sharp. Nails, rocks with sharp edges, glass fragments. Very simple to build and cuts them up badly and inflicts a lot of damage which is why terrorist use them. You could add poison if it had any effect on them. Not the answer you're looking for? Browse other questions tagged creature-design military-defense strategy or ask your own question.